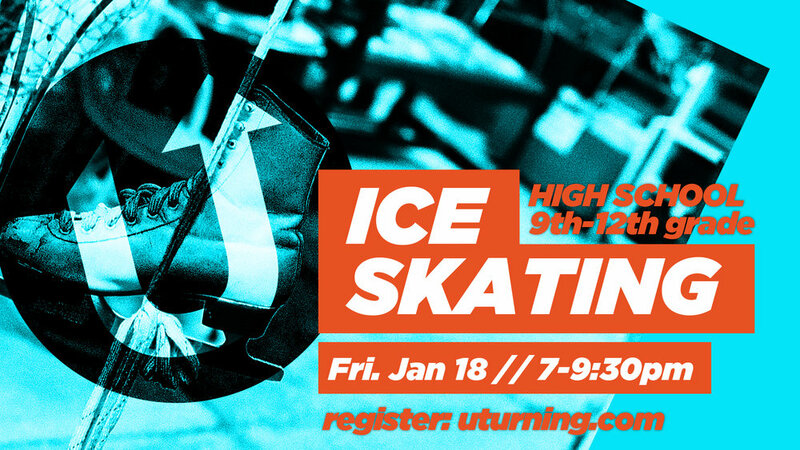 The High Schoolers (9th-12th grade) of UTURN are hitting Ice Station Valencia for a fun filled evening of ice skating. We meet at the Ice Station in Valencia at 7:00pm and pick-up by 9:30pm. Cost for this event is just $10 and it covers the whole evening (snacks included). Register online and submit completed medical releases to Pastor Tyler by Tuesday, January 15th.